It’s no secret that 2017 has been an amazing year for games. While the first half of the year may have been a bit stronger than the second half, we still received a ton of intriguing, innovative, and noteworthy titles. The Nintendo Switch also released and has become one of my favorite systems in recent memory. Being as original as I am, I have decided to count down my Top 10 games of this year. I looked back at every title I played this year (there were quite a lot), and determined the ones I found the most fun, innovative, and well-made of the bunch. I decided to leave out ports, so as much I as liked playing Kero Blaster on PS4 and Stardew Valley and The Elder Scrolls V: Skyrim on the Switch this year, those are not included. Without further ado, here are my picks. Many series from Sega’s earliest days in the console market have faded into obscurity since the days of the Master System, though that didn’t stop Lizardcube from taking one of these forgotten titles, Wonder Boy III: The Dragon’s Trap, and remaking it with beautiful visuals for a new generation. That being said, Wonder Boy: The Dragon’s Trap still gives players the option to switch back and forth between the retro and modern graphics and sounds at the press of a button, even allowing players to mix the two to their liking. This simple feature shows true respect to the original, while also helping prove that it was a forgotten classic to newer and older players alike. 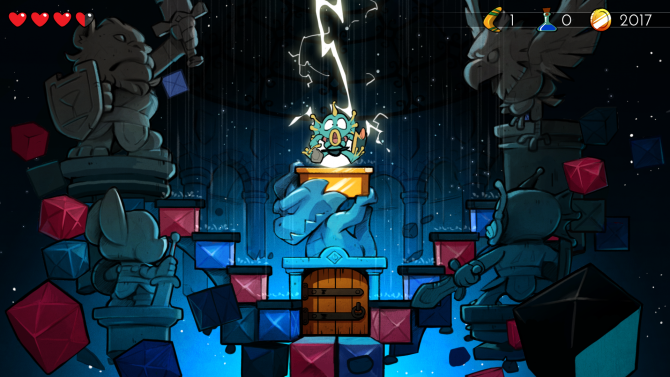 Couple this with clever world structure, tight and responsive controls, multiple transformations, and stunning remade graphics, and Wonder Boy: The Dragon’s Trap is an engaging platformer that I won’t be forgetting anytime soon. In short, my face basically looked liked Pirahna-Man’s does above when playing the game. Check out DualShockers’ Wonder Boy: The Dragon’s Trap review. Before this year, I had never paid much attention to the Yakuza series. My only exposure to it beforehand was playing Yakuza 4 for about fifteen minutes via PS Plus back when it was available through the service and putting it down after I felt it wasn’t for me. After seeing the amazing reception that Yakuza 0 was receiving, I decided to get the game for myself, and I was exposed to one of the wackiest, albeit one of the most endearing games I ever played. While the game did show its age in a few parts, as it was originally developed with the PS3 in mind back in 2015, the game’s high-quality cutscenes, engaging characters, and fun gameplay more than made up for it. 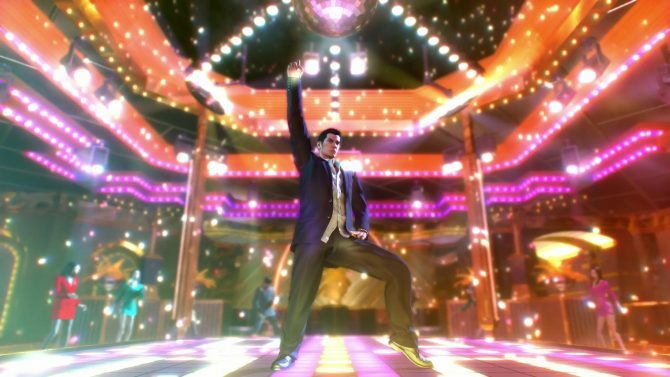 While the elements of this game could feel disjointed in some other titles, Yakuza‘s developers were somehow able to pull it off almost flawlessly. This series feels like the natural evolution of the beat ’em up genre and made me a brand new fan of this really weird, but very charming series. I can’t wait to dive deeper into Yakuza Kiwami and the rest of the series in 2018. Anyone else in the mood for karaoke? The Sonic the Hedgehog IP was in a really weird place coming into 2017, with many of its more recent mainline entries disappointing massively. Fortunately, a group of fans-turned-developers came together to make what is, in my opinion, the best Sonic game of all time. 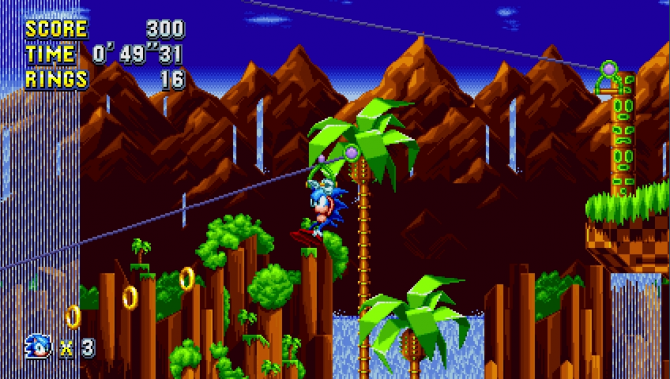 Sonic Mania is consistently enjoyable due to its clever level design and the small tweaks the developers made to the classic fast-paced side-scrolling gameplay. Sonic Mania is also a visually vibrant and charming game, with many throwbacks and easter eggs towards previous games in the series, and even its own infamous fanbase. I have been following Sonic the Hedgehog since I first played Sonic Heroes when I was younger, and have seen the series go through many ups and downs, so I’m glad I was finally able to play a game that matches (and surpasses) the quality of the classic Sega Genesis titles. Sonic’s back baby…what’s a Sonic Forces? 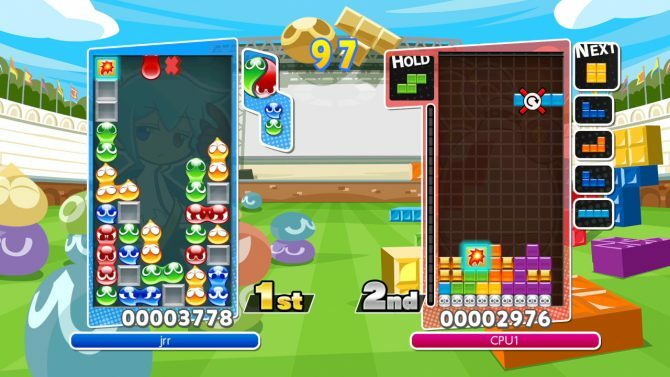 Rounding out the bottom four games (all of which had a connection to Sega), is Puyo Puyo Tetris, an excellent puzzle crossover game that finally made its way stateside on PS4 and Nintendo Switch earlier this year. While the Puyo Puyo and Tetris series may seem quite different at face value, the developers (who are Sonic Team, believe it or not), found common ground between the two and were able to balance the title properly. Going in, I was a huge Tetris fan, but not that familiar with Puyo Puyo. Coming out, I was clamoring for more Puyo Puyo games to be released in the west. If you are a fan of either series or just of puzzle games in general, Puyo Puyo Tetris is definitely worth checking out. The Switch version even adds extra portability to the game, so you really can’t go wrong with picking up the game on any of the platforms it is available on. Sonic Team did put out a great game this year, you just have to know where to look. Check out DualShockers’ Puyo Puyo Tetris review. I likely have the same inherent emotional connection to Cuphead as many others had going in. Growing up, I loved watching old cartoons, especially ones animated in a similar style to Cuphead, so the game’s art style had me intrigued from the moment it was announced. Studio MDHR went above and beyond with the animation, creating one of the best looking games in recent years. 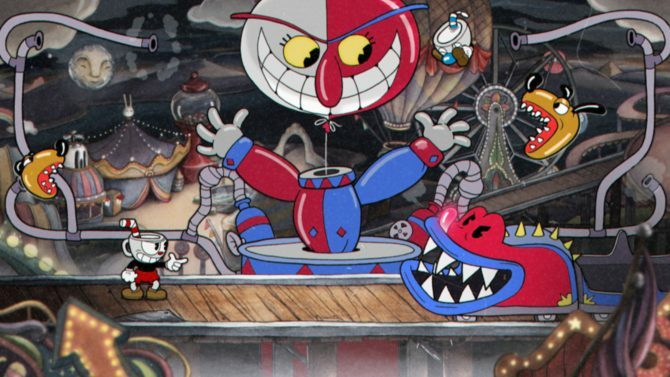 In a year full of great, amazing looking games, Cuphead was able to stand out with its unique style and make its way into the hearts of many. Couple that with enjoyable run ‘n gun gameplay reminiscent of classic titles like Gunstar Heroes and delicately and intricately designed bosses, and Cuphead truly becomes something special. Just keep in mind that the game is very hard, especially if you’re a gaming journalist like me. 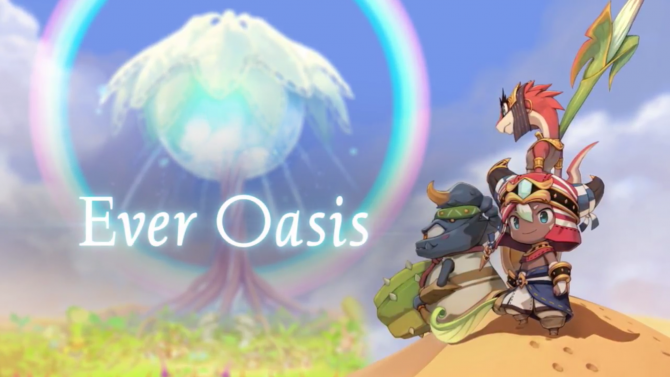 Ever Oasis is by far the most underrated game I played this year, pushing the 3DS to its limits and delivering an awesome blend of city-builder and action-adventure RPG. 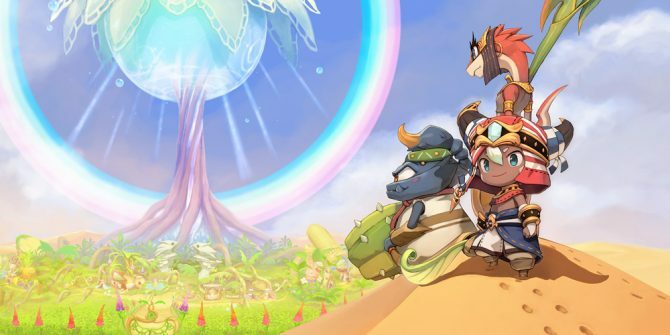 Developed by Grezzo, the developers of The Legend of Legacy and the Ocarina of Time and Majora’s Mask remakes, Ever Oasis feels like the summation of all of their past development experiences. The result is something that feels like a modern-day evolution of The Legend of Zelda: Ocarina of Time with a few city-building elements — or in this game’s case Oasis-building — thrown in. 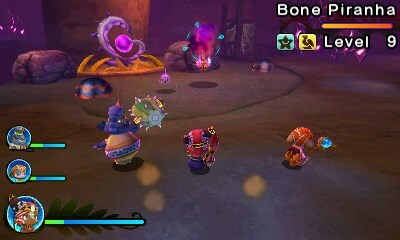 The game also has detailed desert inspired environments that look as great as they can on the 3DS’ 240p screen. 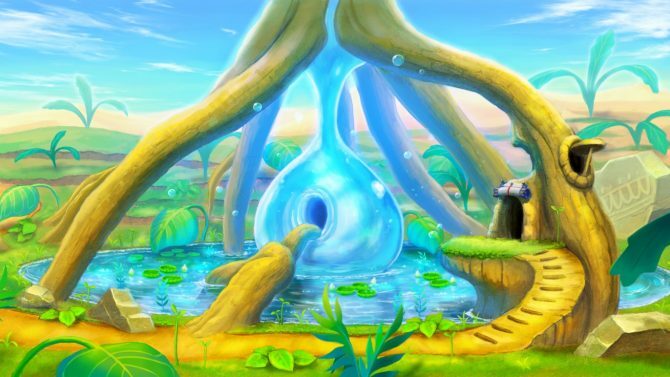 The game embraces its action-adventure roots, while also adding in an interesting mechanic where the people who live in your Oasis can come out and fight with the player, bringing their unique abilities to the table. If your 3DS has just been sitting around collecting dust in recent months like your Ouya, it’s worth dusting off for this gem, as Ever Oasis is a great swan song for the 3DS. Check out DualShockers’ Ever Oasis review. I’ll start off this entry by letting you guys know that due to Persona 5’s massive size and the fact that I only began playing it earlier this month, I have not yet finished the main story of this game, which prevented me from putting it any higher on the list. That being said, the sizeable chunk of the game I have played has been one of the most stylish, unique, and entertaining experiences I have ever had playing a game. Sega has had a super impressive year in 2017, as their titles have taken three spots on my top ten list this year. 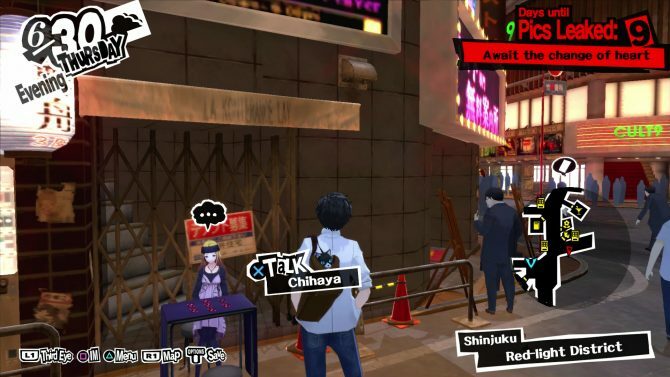 Persona 5 oozes style at almost every corner, and couples it with a well-thought-out demon-capturing RPG system that never failed to get old in the tens of hours I have put into the game. The game also includes a somewhat relatable, though wildly weird, story about a group of social outcasts doing what they think is right and purifying the hearts of evil adults. All of the time and enjoyment I have gotten out of Persona 5 has made me want to check out the previous Persona titles, though that is a 1000+ hour rabbit hole I’m not sure I’m ready to jump into. The Legend of Zelda: Breath of the Wild will likely be the most influential game of 2017. 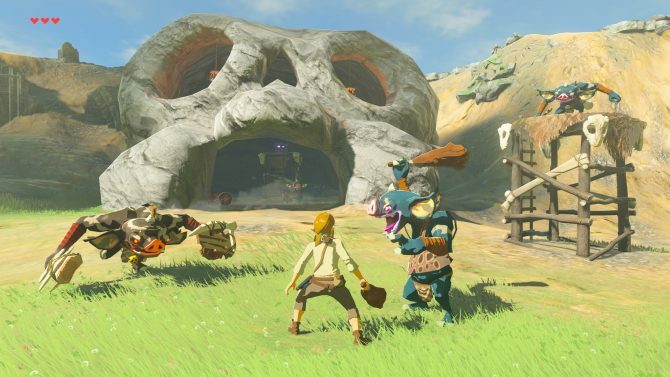 The amount of player freedom given in exploring and traversing the world is unmatched by any other open-world game and an impressive first outing for this kind of game from Nintendo. While I do think the game has a few notable flaws, what it brings to the table in design is miles ahead of what is present in most games today. The game’s cel-shaded art style also keeps things looking crisp, no matter where you are in The Legend of Zelda: Breath of the Wild’s large world. While the fact that the game was a simultaneous release on Wii U and Switch may have taken away the impact of this being the Wii U’s excellent swan song, The Legend of Zelda: Breath of the Wild is one of the best games any system can ask for, let alone at launch. This title set the bar high for games on the Nintendo Switch, kicking off one of the most robust, interesting, and varied years in Nintendo’s storied history in the industry. Now if my damn weapons would stop breaking, I could fully dive into the game’s DLC which I have been putting off for a while. Check out DaulShockers’ The Legend of Zelda: Breath of the Wild review. If you thought Nintendo would lay down their arms after putting out The Legend of Zelda: Breath of the Wild, you were wrong. They continued to release a ton of solid titles throughout the year like ARMS and Splatoon 2 and then released another amazing title in October: Super Mario Odyssey. While it may not bring as many new things to the table as The Legend of Zelda: Breath of the Wild, and while I do have an issue with the lack of visual and tonal consistency between Kingdoms, Super Mario Odyssey is one of the most purely fun games I have ever played. 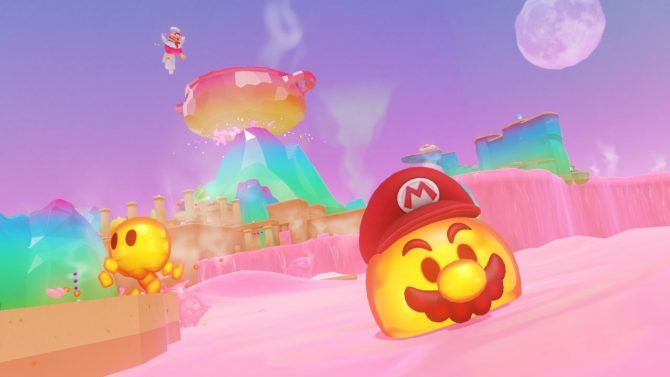 Tightly-designed, smooth controls, clever level design, and a possession mechanic that changes up the series’ staple 3D gameplay make Super Mario Odyssey one of the most memorable titles of the year for its fun factor alone. It’s a title I’ve constantly returned to, with there seemingly being a new secret or moon behind every corner. Now if Mario could only possess Nintendo and make them release Mother 3 on the Nintendo Switch, I may be able to deem it one of the best systems of all time. This year blessed us with many entertaining fighting games. From larger titles like Tekken 7 and Marvel vs. Capcom Infinite, to smaller ones like Rivals of Aether and Brawlout, fans of every type of fighter could find something to like. This year though, nothing topped Injustice 2 for me. 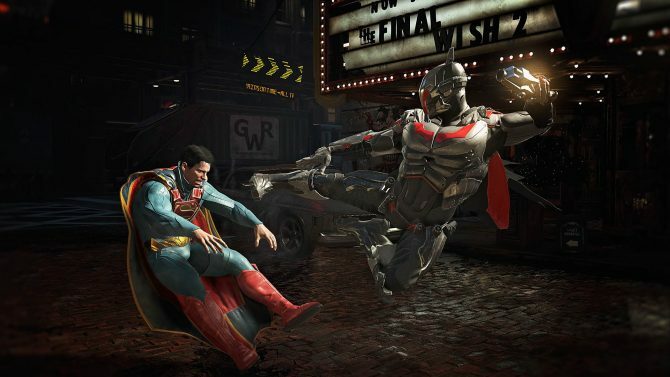 From a pure mechanics level, outside of the clash system, Injustice 2 is one of the most rewarding and best-feeling fighters in years, showing that NetherRealm Studios is truly at the top of their craft within this genre. The game is also gorgeous, sporting some of the best facial animation I have ever seen in a game with Harley Quinn. 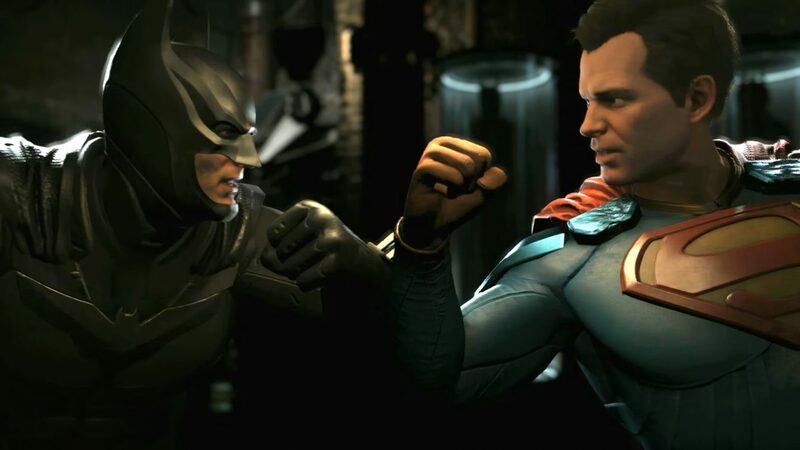 Injustice 2 also includes an actually competent and enjoyable story mode that brings this alternate DC universe together when Superman is the biggest threat to humanity, putting the heroes and villains into the spotlight even better than Injustice: Gods Among Us did. As for other single-player content, the game’s Multiverse mode gives an endless supply of arcade tower challenges, and even if you decide to hone your skills and go online, you’ll have an enjoyable time with well-running servers. The game has been supported wonderfully since launch too. Some balance updates to improve the game have been released, and many amazing DLC characters have been added. I’m happy to see that Hellboy got brought into the spotlight again in video game form, and Atom is one of the most creative and amusing fighting game characters I have ever played. I would recommend Injustice 2 to anyone that remotely enjoys fighting games or comics, so this title proudly climbs to the top for me in 2017, a year of full of amazing titles. Check out DualShockers’ Injustice 2 review.